Welwyn 10K 232 places left. This year there will be no on the day entry, however the online booking system will be open until 21 June 2019. A reminder that there will be no fun run this year due to the condition of the course on the Marsh. 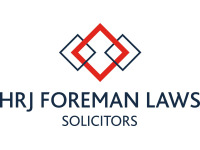 One of our longstanding sponsors is HRJ Foreman Laws Solicitors, please click their logo if you would like to contact them.